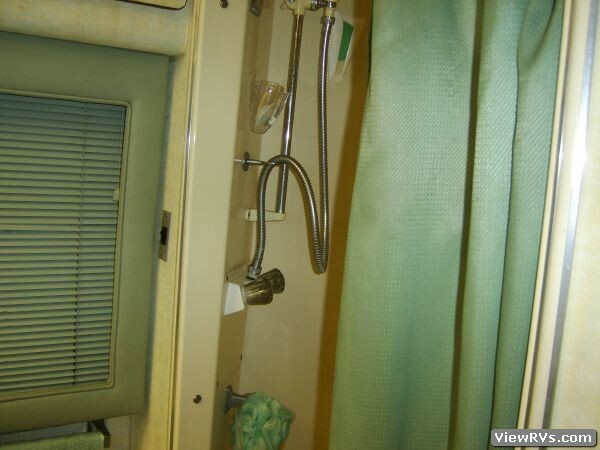 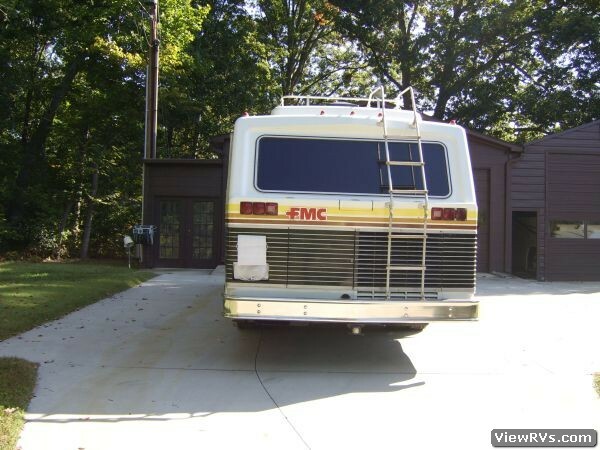 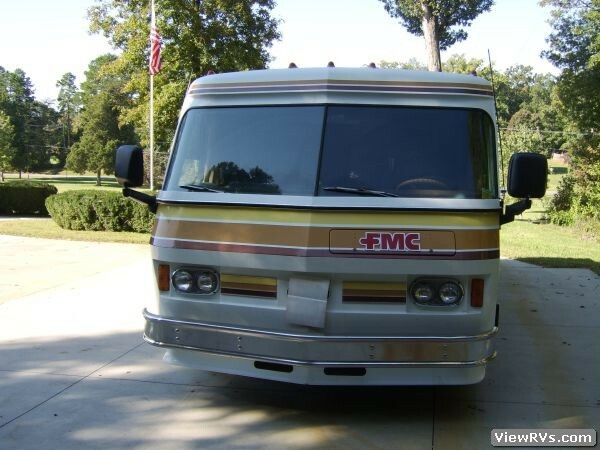 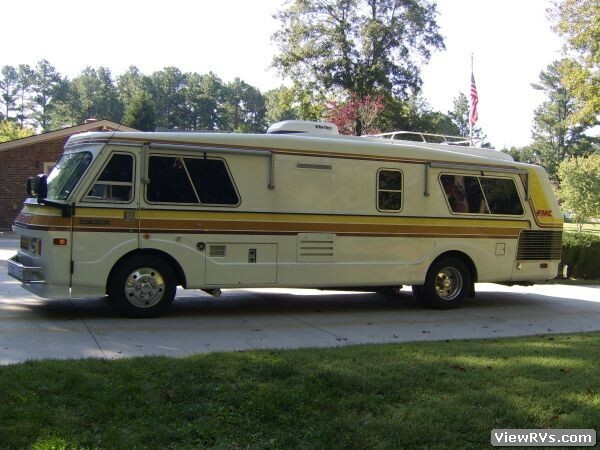 1976 FMC 29' Motorhome Exhibit "A"
1976 FMC Motor Home #934 of 1150 made, 440 Chrysler engine with 727 TorqueFlite transmission, 6.5 KW Onan generator, Queen bed, full bath, convection/microwave, micro fridge custom paint, good tires, tinted windows, window treatments, outside window awnings, Duo Therm roof air conditioner, new exhaust system, propane heat and hot water heater, 60 gal fuel tank, new upholstery, 50 amp service, 100 gal fresh water tank, 50 gal grey water holding tank, and 50 gal black water holding tank. 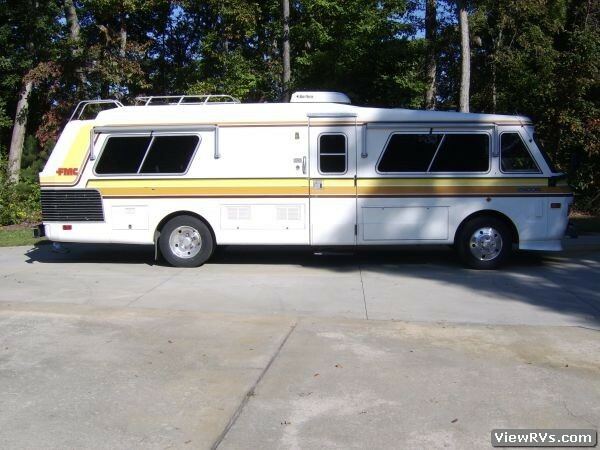 Has 126,205 miles. 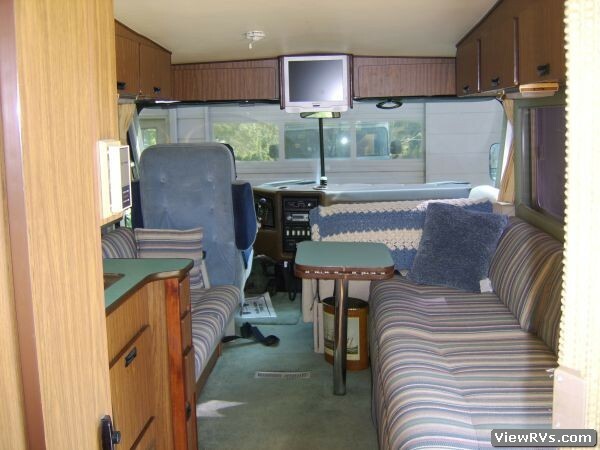 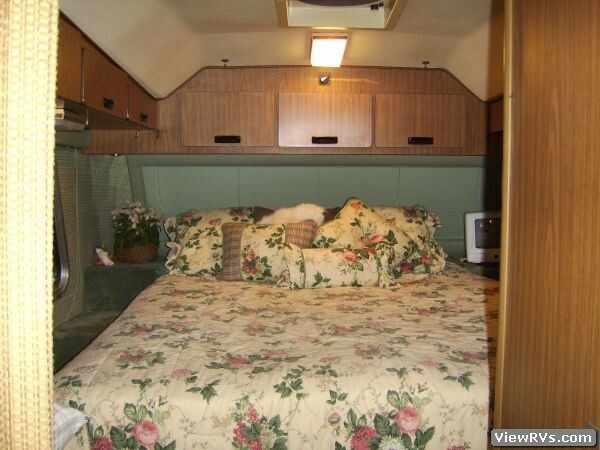 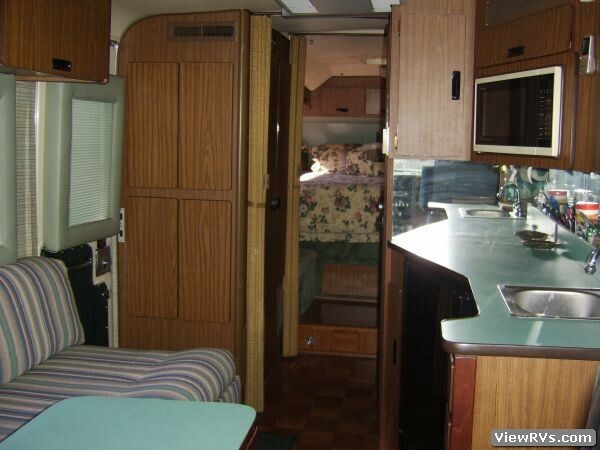 This is an antique motor home.